In today’s digital world, creators have the chance to set their own course and fulfill their own destiny! But how do you stand out among the clutter of content? We talked to “We’re NOT Friends” stars Ashley Bornancin and Don DiPetta about their single-cam comedy series as it heads for Season 2. We’re NOT Friends explores the relationship of two unlikely twenty-somethings from different sides of the track who end up becoming roommates by chance and turn each others worlds upside down. The show dives into the concept of can opposites really attract or are they doomed to forever be oil and water? The audience also gets to explore the age old questions of what it really means to be a friend and can men and women actually be just friends. Season 1 featured Don DiPetta as Don, an ex-minor league baseball player, who finds himself out of work, out of hope…. and out of money. Unable to pay for his house, he reluctantly starts interviewing roommates and gets stuck with his polar opposite… the relentlessly positive, aspiring news reporter, Ashley, played by Ashley Bornancin. Ashley doesn’t understand the concept of “boundaries.” Their at times insane love-hate dynamic, keeps the audience engaged while being both heart felt and hilarious! Throughout the show, both characters uncover that life isn’t always about the home run, but more the curve balls that make the game worth playing. We sat down with the real-life Ashley and Don to find out how this show came to be and their game plan for breaking into the major leagues in Hollywood 😉 Pun intended. 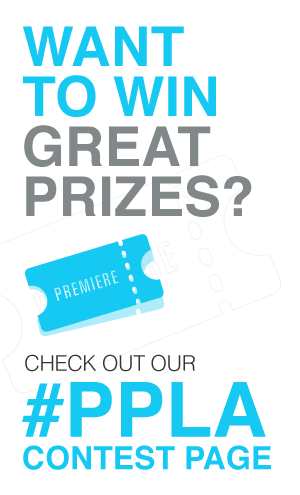 PPLA: What inspired you to create this series? A: I honestly was sick of people not seeing me as a lead, and sick of giving everyone else control over my future. I love creating and have been a writer my entire life, and it was actually after hearing Lucia Aniello from Broad City speak at a Women and Directing Workshop at UCB that I realized, yeah, we just need to go out and do it ourselves. So I didn’t know what I wanted to create after having written, produced and starred in my own short that summer, but I knew I wanted to keep creating. I met Don in a class and thought he had an interesting dynamic and just kept hitting him up. The first day we got together we realized he had a background in professional baseball, I had a background in news, and they say write what you know, so we went on the journey together of taking our experiences and putting them into a series. D: I wanted to learn how to write/ produce/ direct/ star in a show and with how our industry is today to get ahead and stand out, you have to create your own work. This was that perfect first opportunity. PPLA: Why did you decide to self finance Season 1 and what went into that? D: We were unproven. We hadn’t ever done anything, I didn’t know if we’d be any good and I didn’t want to ask people for their hard earned money without proving myself. A: I think we also didn’t know any better. I think that we were learning as we went. I also was really inspired from the SXSW speech from Mark Duplass, where he says “The caravan isn’t coming.” I realized I’m someone who has a creative voice and I have the gumption to get it done, so let me take back the power that in a way, us actors give to everyone else in the entertainment industry, and let’s make something ourselves! Don I think the same way, so that’s what we did. One step at a time – and it just so happened to be that it was all our own money. We purposely did not do a Kickstarter because we did feel very strange about people just giving us their money without a proven product or formula. Now we know what we’re doing, how to execute, where funds go, etc. so we can honestly assure people to the dollar where finances are being spent. PPLA: How was Season 1 received and what fan feedback are you using for Season 2? A: It was really awesome to see the feedback – people fell in love with our characters and dynamic and it was really fun to play into going into Season 2. Especially because we are using our real names and a TON of similar experiences from our real lives, many tend to get hooked on our real-life friendship-type dynamic. In all honestly, you will never know if people are going to like your work, but one of my showrunners, Aaron Blitzstein, from Seth Green’s CAMP WWE, had told me to just focus on what you love and what makes you laugh, and if you make something that you love, then others will love it too. So for Season 2, we are going on the journey with our characters. A lot of people will say our characters should end up together, but that’s not the point of the show. Whether that happens or not, it’s about the journey of two people finding themselves, changing the norms, stereotypes of society, and truly representing what it’s like to live in our society. D: Season 1 was a hit with a lot of people. I was a little surprised to be honest. I think as an artist you’re always your harshest critic and for people to really get involved in the show and attached to the characters was a really wonderful thing. People root for these characters and everyone has their idea of whether or not they should end up together. We might play with that idea for season 2 or we might go a different way. I think that’s part of the fun. We know what the audience wants, or what they think they want. As creators, we get to decide for them and take them on what I hope is a really amazing ride for season 2. D: I just finished shooting a new SYFY show, Superstition and have an episode of TV coming out this month, Malibu Dan on PureFlix and a movie premiering October 11th called “Special Unit”. I’ve been fortunate to be on a number of TV shows, including Mike & Molly and MacGyver, and have a number of movies. I also have a full time career touring the country doing standup at comedy clubs, year round. A: My series, Spy Kids: Mission Critical comes out in early 2018 and we are so excited for it! I voice the lead of Carmen Cortez. I also voice the young John Cena and The Rock in Seth Green’s CAMP WWE and just did another show for Dreamworks. I’ve been on amazing shows from Chelsea! On Netflix to Broad City, and Scandal. We also just wrapped another short I wrote and produced starring the incredible Anjelika Washington & Noelle Parker, and have other projects in development. I love performing, writing and producing and my goal is to follow the trajectory of the women I look up to in this industry, including Rachel Bloom, Tina Fey, Mindy Kaling and Lena Dunham. PPLA: The world of digital has allowed shows like this to be seen. What have been some of the biggest challenges? Where do you see the future of this project and making shows in general going? D: The biggest challenge is separating yourself from the rest of the pack and the clutter. But that’s the same battle you face as an actor. There is always going to be a surplus of talent and “content.” I think it’s important to try and create something that’s different and hopefully lasting. I see WNF on a streaming platform next year and also nominated for a Daytime Emmy. In the future I think the internet and streaming is both good and bad. There are so many platforms and so much content out there it can be convoluted. I also think it’s the greatest time as a creator because there are so many platforms and they need content to fill them. Again it’s just about not watering down what you’re trying to do for the sake of producing something. A: I agree with Don – there is just so much content out there, you not only have to create an amazing and different product, but you have to know how to strategically brand and market that product. Someone could have the best unknown series out there but if they don’t know how to market it… it’s really a shame, and does a disservice to the product. There are so many elements and factors that go into this – including who you bring on board, what style you are creating, what platform you choose, when you release, your entire marketing plan leading up to it, etc. In terms of the future of this project, I definitely see Season 2 selling to a MCN anywhere. This is such a quality show that is definitely competive with shows out there, and honestly, I think the heart behind the show is what people are craving these days when they keep getting hit with tragedy after tragedy. We want to give people a show that they can come home to, make some popcorn or smash some sandwiches, curl up and laugh, smile, cry, and just be reminded that there are good people in this world, and that… we’re all in this together. I could also see this not only selling, but a network to want to take it and make a whole new show as well, based on the premise and what we’ve already built… much like Issa Rae’s Insecure. PPLA: Do you think guys and girls can truly be just friends? A: I think it’s a loaded question. I think in many ways, things can get very complicated if you put two people together who may or may not be attracted to each other, especially if at least one of them is single. I think two people being in committed relationships helps, or if it’s a working relationship and a project bringing the two together. But the older I’m getting, the more I’m seeing that there are a ton of guys out there who are using women as their “emotional girlfriends” and probably vice versa – but I think it gets tricky when you are rounding the corner to your mid-late 20’s and you still have a guy/girl best friend. Boundaries and understanding how that person plays into your life is so important – and I think as long as you can establish that, you can definitely have female/male friendships. PPLA: Have you pulled from your own dating and relationship experiences? D: Yes, we’ve had writing sessions where we’ve done nothing but tell stories about our lives and bits and pieces of that always make it into the script. I think Don is based off a period of my life and Ashley is definitely aspects of who Ashley is in real life. I think it’s also important for people to understand we are not our characters. The names confused people… even us sometimes. A: We’ve definitely pulled from our own lives. Many don’t realize thatDon and I hadn’t known each other before we started this project, so it was very much us getting to know each other as we created this together. There are aspects of both of our characters that directly emulate us in real life, and there are other aspects that don’t. I’m a bit more ballsy than my character and definitely know what I want, and I’m less trying to always make people happy like she is. She is also on the trajectory to find her future husband, but we see in Season 2 how that plays out and if that’s really what she wants. I have definitely pulled from past relationships, especially for the dynamic between Don and Ashley… so close yet so far. But everyone has had that experience. It’s beautiful, but also tragic. I think both of us have also learned so much from the experience and from our characters, that we both have a much better understanding of what we would want in future partners, etc. PPLA: Anything else you want us to know? A: I want people to know that our goal is to put the heart back into television, and to help bring you a show you will love and want to binge and binge again. This isn’t just about us… this is about all of us. We are so excited to make Season 2, and with everyone’s help, we can get this out into the world. D: Get ready for season 2. Follow “We’re Not Friends” on Youtube. Support Season 2 and become a backer!